The men and women who work for Dollar Energy Fund are caring professionals who have the character, skills and ambition to provide the outstanding service our clients and partners deserve and that we, as an organization, demand. We believe in rewarding performance and encouraging career growth. We support employees with training, a great working environment, competitive compensation and a comprehensive benefits package. To apply for a position with Dollar Energy Fund, please email your resume to hr@dollarenergy.org. Please include a salary history and your preference for full or part-time employment. Dollar Energy Fund is not accepting applications for employment at this time. Please check back regularly for the latest updates on employment opportunities. Dollar Energy Fund is an Equal Opportunity Employer. Dollar Energy Fund is committed to a diverse workplace that embraces the differences of all staff, board members, customers and vendors. Our view of diversity is broad and deep as our respect and appreciation for race, color, age, sexual orientation, disability, gender, religion and national origin is complemented by an appreciation of diversity in thought and the diversity afforded by the richness of one’s life experiences. We understand the value and the importance of our differences and we also understand that it is not enough to just tolerate differences, it is important to embrace them. By building a culture of respect, all people are free to reach their full potential. This is what makes Dollar Energy Fund a dynamic and successful organization. 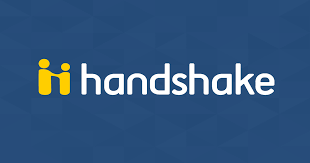 Connect with us on Handshake! Handshake is the place where students, career centers, and recruiters come to meet, talk, and share opportunities. Find out about our current opportunities by visiting our Handshake profile. Dollar Energy Fund was selected as one of Pittsburgh’s Top Workplaces in 2016, making it the third consecutive year the organization has received this honor. Dollar Energy Fund was recognized as one of the Pittsburgh Business Times’ Best Places to Work for 2014.